As EventHubs reported, earlier this month Soul Calibur 6 players poked around the game's files and found entries suggesting fan-favorite fighters Cassandra and Amy will be added in upcoming DLC. 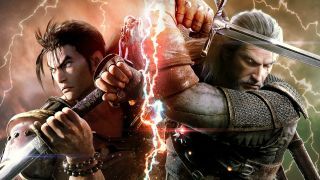 Well, the list of rumored Soul Calibur 6 DLC fighters recently expanded to eight thanks to Twitter user Koenji and 8wayrun forum user Autumn, who dug up six new files which may also point to incoming characters. According to Autumn, the six new entries were added last week with the release of update 1.11. Per Koenji's Twitter post, these entries are listed below the ones for Cassandra and Amy, which supports Autumn's claim. They're also formatted the same way, and all eight of them mirror the entries for the game's existing characters. Additionally, these entries are labeled "DLC2" through "DLC8," and are listed after DLC fighter 2B - that's Nier: Automata's 2B - which lines up with speculation that these are DLC characters. This is all unconfirmed information, but there is a pretty solid pattern to it. You know the drill: grain of salt, hold out hope, but don't bet the farm on this. This has been a good month for datamined fighting game characters: a few weeks ago, Super Smash Bros. Ultimate fans found files pointing to a Dragon Quest DLC character.